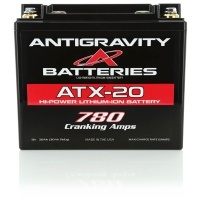 Antigravity Batteries makes Lithium-Ion Batteries for Motorcycles, Power sports Vehicles and Race Cars. Made in the USA and offered in either OEM exact fit sizes or our incredibly compact “Small Case” format that offers up to 80% weight savings over lead/acid batteries, with much better starting. Introducing The New RE-START Series: the FIRST battery ever that won't leave you stranded! 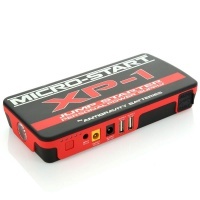 The Micro-Start XP-1 PPS (Personal Power Supply) is the BEST-SELLING mini jump-starter product that started it all. Winner of the SEMA New Products Award in 2013, it was the first & ORIGINAL mini jump-starter and is considered the industry standard in its class. So small it fits in your pocket yet so powerful it starts cars, trucks, motorcycles, ATVs, UTVs, snowmobiles, watercraft and more! The new ATX30-RS is an extremely lightweight and high-power Lithium-Ion replacement battery for the heavy lead/acid YTX30 battery found in many Motorcycles and Powersport Vehicles. 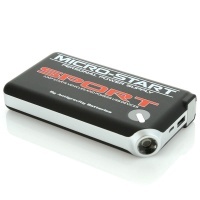 The NEW Micro-Start SPORT is one of the smallest lithium-ion Jump-Starter / Personal Power Supply (PPS) units available. It’s also the most compact Micro-Start Kit. 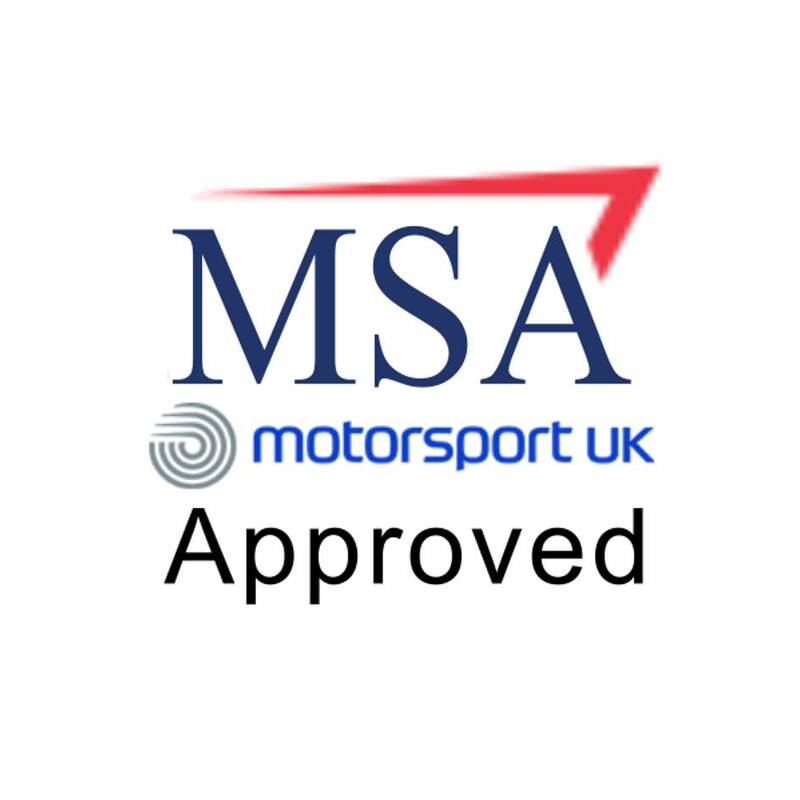 Another feature distinguishing SPORT is its ability to recharge via any Micro-USB connection, such as found on your computer, in your car, a hotel or an airport. This allows for the ultra compact travel kit, as the same USB Cable can be used to charge both SPORT and your various USB devices. SPORT is small enough to fit in your pocket yet so powerful it easily starts cars, trucks, motorcycles, ATVs, UTVs, snowmobiles, watercraft & more. 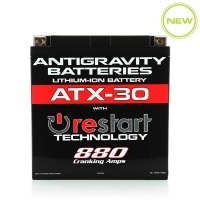 This is the most powerful battery in the Antigravity Batteries line up. It is in the YTX20, YTX20L, YTX20H, YTX20-BS OEM case format so can be used as the OEM direct replacement in many vehicles or in any use where MASSIVE POWER and excellent capacity are desired.